An all-electric flying car concept created by Audi, Airbus and Italdesign is now being tested. 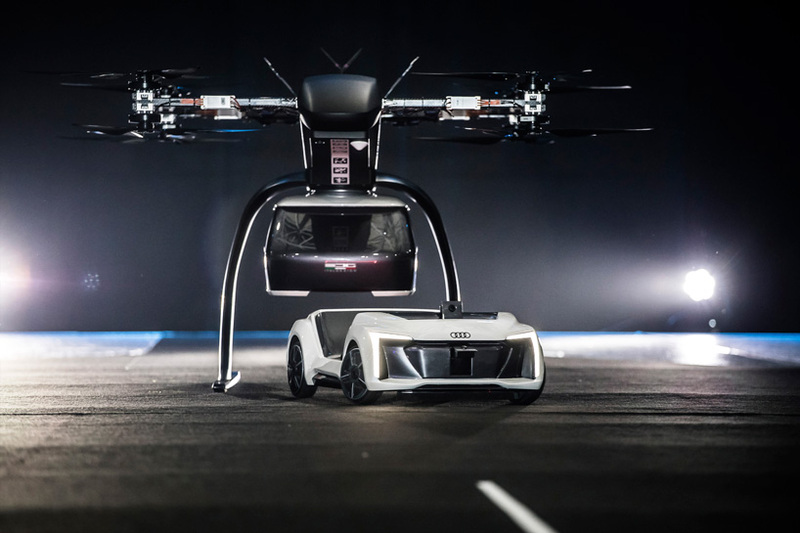 The design is is made up of three separate modules – a two-seat capsule for passengers and a four-rotor drone, put together through a detachable pod. The drone autonomously flies the pod to a location, placing it on an electric vehicle frame. The first public test flight saw the flight module accurately place a passenger capsule on the ground module, which then drove from the test grounds autonomously.